Jeromy Johnson acknowledges that the growth of wireless technologies in our world has provided tremendous benefits to society, but it has also created substantial health risks. Johnson explains how he became sensitive to EMF radiation in 2011 and recommends that we head toward a more wired world in the future. He particularly believes that one of the best things we can do is move towards fiber optics. On the subject limited to smart meters and the smart home, SkyVision Solutions has prepared a 2-minute video based upon a screen capture of the TEDxBerkeley presentation from February 6th. What follows should be considered an excerpt or “trailer” sample of the full presentation which was just over 16 minutes in duration. The above video is presented in the public’s interest for non-commercial purposes. The full presentation by Jeromy Johnson as posted by TEDx Talks is provided below. SkyVision Solutions has added images and captions to the original presentation for clarity. This video contains material used pursuant to the Fair Use Doctrine under 17 U.S.C. 107. 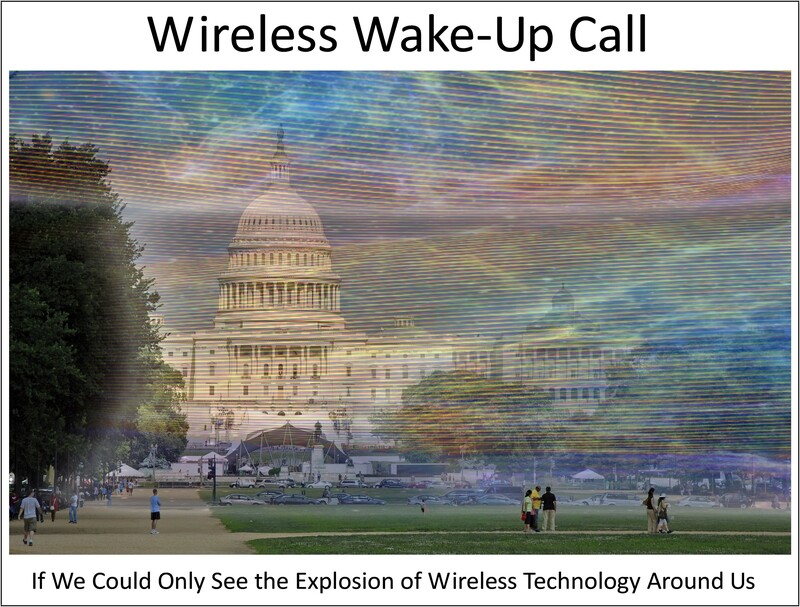 TEDxBerkeley 2016 Event, February 6, 2016, “Wireless Wake-Up Call,” by Jeromy Johnson. Also, this article includes information gathered through screen captures for the TEDxBerkeley 2016 event as it was streamed live on February 6, 2016. Note: Finding X means looking to find solutions to our world’s imperfections. Jeromy Johnson is an expert in mitigating the negative impacts of Electromagnetic Field (EMF) exposure. He has a leading website on the topic and consults with individuals, families and organizations around the world to implement solutions that reduce and eliminate EMF pollution. He has demonstrated that simple changes in our daily practices can go a long way to ensuring a healthier life. Jeromy has an advanced degree in Civil Engineering and has worked in Silicon Valley for 15 years. He became what medical doctors call “Electro-hypersensitive” (EHS) in 2011 after extensive exposure to EMF radiation. Through the process of regaining his own health, Jeromy immersed in the available data on the impacts of EMF exposure, personally vetted the available solutions for protection, and created a user-friendly presentation which he has delivered throughout the world to inform others about how they may protect themselves. Jeromy has also authored the book “How to Find a Healthy Home,” which helps simplify this complex issue. His experience and knowledge inspire us to create new technologies and to utilize existing technologies in ways that are safer for humans, animals and the environment. SkyVision Solutions represents that the material presented in this article makes use of both (1) the Fair Use Doctrine under 17 U.S.C. 107 as well as (2) 17 U.S.C. 103 for Compilations and Derivative Works. SkyVision Solutions does not imply any exclusive right to preexisting material highlighted in this article. This entry was posted in Smart Grid, Smart Meters, and RF Emissions and tagged Health Effects, RF Emissions, Smart Meters, TEDx Talk, Wireless Technology. Bookmark the permalink. It’s not just in the US! Look at these poor people. 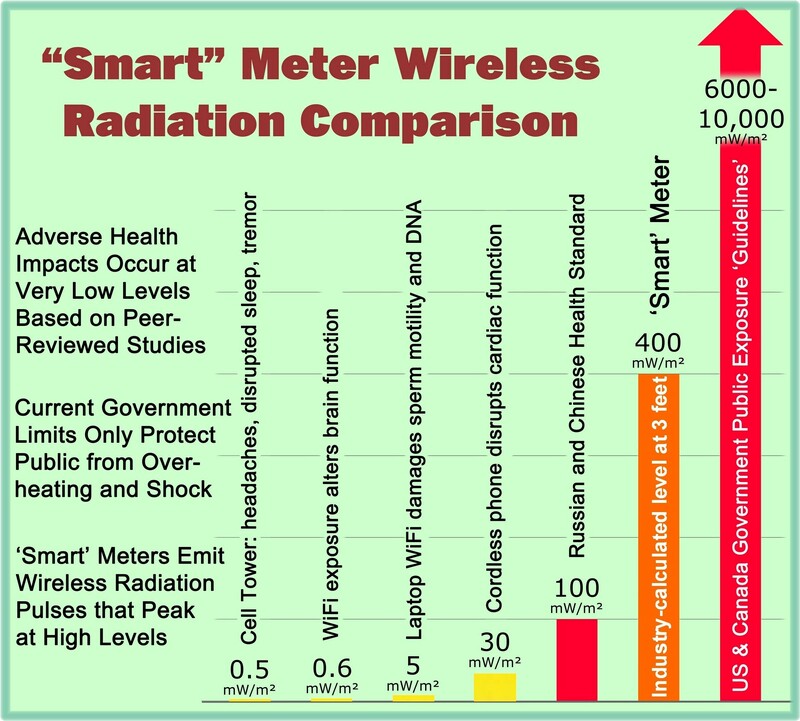 I get very concerned about the assumption that smart meters will not cause harm if they are hardwired, because there have been health complaints in Idaho, where smart meters are hard-wired: http://sandpointreader.com/electrical-hypersensitivity-a-disease-without-a-name/ and Idaho made a ruling that they did not need to offer an opt out because the meters did not transmit radiofrequencies. Jeromy was primarily recommending fiber optics which should be safe as compared to Idaho as I believe they use a PLC version of communications which still involves transmitting EMF over wires. I also understand possible issues with SMPSs within the smart meter. Of course the general talk was about wireless and Jeromy was attempting to raise awareness overall to wireless issues including cell phones, WiFi, smart meters, and smart home. One of my concerns is that it is getting harder to purchase devices that do NOT include some sort of WiFi transmitter for the home. Manufacturers just assume everybody wants it and things need to change quickly to reverse that trend. In one case I opened a device myself and removed the antenna which reduced RF emissions to near zero but not everyone knows enough to do that. EXACTLY!! In the UK, EMFs are being transmitted through our regular Telephone cables (usually old Copper wiring); so no amount of Wiring of Devices is going to address this issue.